South Lakes High School track and field athletes had several outstanding performances at Spring Break track meets. Junior Comfort Reed and sophomore Eric Kirlew each placed in their divisions of the triple jump at the Lake Braddock Hall of Fame Invitational in Burke. Reed finished third with a jump of 35-08.25 while Kirlew hit 42-03.50 for fourth. Both are jumps qualified for the region meet next month. The Hall of Fame Invitational was one of three meets the South Lakes High School outdoor track team competed in during spring break. State standards were met by Seahawks competing in Arcadia (CA) Invitational, a showcase of the top high school track and field athletes in the nation. Junior Delaney Wickman ran 58.45 in the 400 meters. Senior Danielle Hale had a 36-08.75 in the triple jump. Both the girls and boys 4×400 and 4×800 relay teams qualified for states: seniors Grace Gillen, Abby Reinhold, sophomore Golden Kumi-Darfour and Wickman ran 9:38.31 in the 4×800; the boys 4×800 team of seniors Michael Kerr, Luis Rivas, Daniel Johnsen and junior Andrew McCool ran 8:04.10; Gillen, Kumi-Darfour, Wickman and junior Claire Nieusma ran 3:58.67 in the 4×400 while Kerr, Rivas, Johnsen teamed with junior Sam Arpee for a 3:25.17 in that relay. 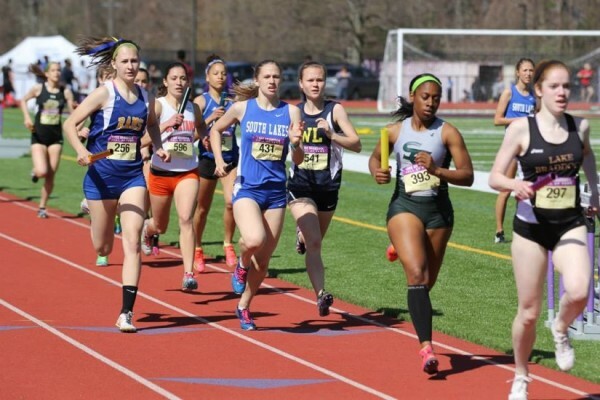 SLHS finished its spring break competitions at the Leslie Sherman Invitational at West Springfield High School, where Kerr ran a 1:27.17 and earned a trip to the state meet in the 800 meters. Seniors Khayri Denny and Daniel Johnsen also hit state standards in that meet with Denny running 11.12 in 100 meters and Johnsen finishing in 400 meters in 50.08. Sophomores Skander Ballard (10-00.00), Alex Rudison (10-00.00) and freshman Madeline Emmert (7-00.00) all qualified for the conference championship in the pole vault. Afternoon Poll: Should Fairfax County Have a Meals Tax?